We work in collaboration with a certified agency whose baby-sitters are experienced and multilingual. 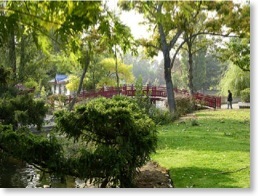 The Jardin d'acclimatation (zoological park) was created in 1860 at the initiative of the 'savante société impériale zoologique d'acclimatation' presided over by Isidore Geoffroy Saint-Hilaire. Laid out by Davioud and Barillet Deschamps, it displayed a luxuriant flora in the winter garden of the hothouses and also some exotic animals and members of Indian tribes, 'lapones', 'hottentots' for the curiosity of the aristocrats and the bourgeoisie who frequented this elegant place. After the 1870 war, the garden took on more of a play area and its zoological role and exotic species diminished little by little. Today, it is again renewing its links with its botanical and cultural past, while at the same time retaining the attractions that have delighted generations of children. In addition to horticultural stock for the gardens, Davioud's hothouses provide workshops for children. Here adults will find botanical stories unveiling the secrets of tea or perfume and inspired by the 'garden of experiences' of Empress Eugenie. Merry-go-round - puppet show for children, also, animals: bears, lions, monkeys, deer including some tame ones that are free to roam at liberty. A little train takes visitors from the edge of Porte Maillot to the main entrance of the park. 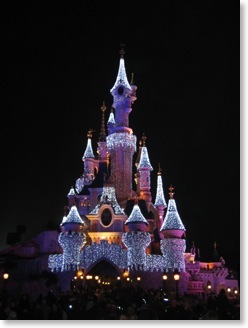 At only 35 minutes from Paris, discover Disneyland Resort Paris, with its two themes parks : Disneyland Park and Walt Disney Studios Park. Disneyland Park is the kingdom of Disney's characters, and you will be enchanted by the rides and shows of this wonderful enchanted world. In the new Walt Disney Studios Park, you will be plunged into the fascinating world of cinema, television and animation. And discover Disney Village and its fantastic shows and bars. Both parks are open each day of the year. Access from Paris by the RER A (Marne la Vallée Chessy stop). By car from the A4 motorway (exit) 14). TGV station at the entrance of the park. 'Château de Thoiry en Yvelines' is situated around 40 km to the west of Paris and 25 km north of Versailles. Thoiry features the rare esoteric architecture of the Renaissance, and a transparent bridge of light, with its flower beds forming a sun dial in the landscape. 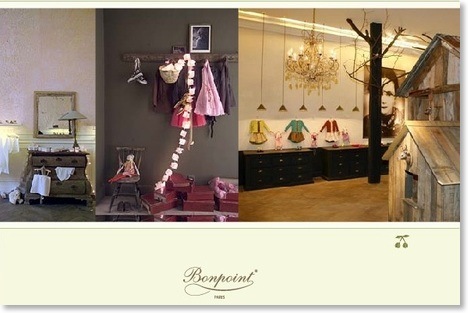 Fine furniture, tapestries and portraits. 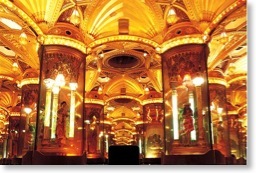 Restoration of the decor and furniture each year adds to their beauty. Exhibitions, concerts, guided tours. Maze, rose garden, pine wood, English-style gardens and perfumes, borders of peonies... Safari park and zoo with 800 exotic animals roaming free. 'The Mysterious Island'. Adventure trail with suspended bridges in the giant foliage, holes with sound games, wooden pyramid to climb, toboggans. Open everyday from 10:00 AM to 5:00 PM. 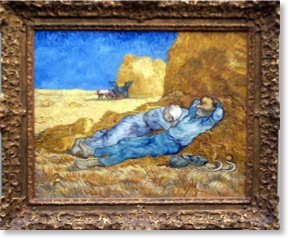 Open since 1882, the musée Grévin pays tribute each year to great men and women in the world. 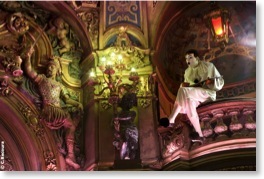 After 6 months of work, 280 wax figures - of which 80 are new - are displayed in stage sets with sound effects. New this year: the chance to be photographed next to your favourite star. You will also be able to relive the high points in France's history through some 50 characters from different times. 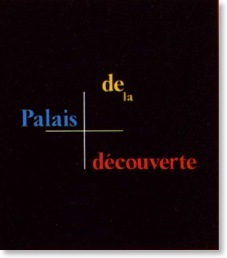 The visit continues with the legendary Théâtre du Musée where all of Paris meets and you will be filled with wonder in the 'Palais des Mirages' which has never ceased to astonish people... since the World Fair of 1900 ! Finally, thanks to new technology in the portrayal of image and light, the 'Passage à Images' will plunge you into a fantastic world oscillating between illusion and reality. 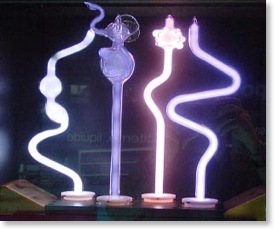 Dynamic and interactive presentation of science. Astronomy with the new planetarium, biology, chemistry, mathematics, physics and earth sciences. Electrostatics room, Sun room. Reopening of the Acoustics room: offers a series of experiments and demonstrations in which to investigate the phenomenon of sound: making and speed of sound, structure of simple and complex sounds (organ pipes), harmonic analysis and synthesis, interference and diffraction, Doppler effect, beats, resonance... School of ADN (for education and culture devoted to genetics and ADN. The new Zeiss planetarium: with the installation of a new astronomical projector, the Palais de la Découverte offers visitors a wonderful crystal-clear sky. Reopening of the acoustics room: this room has been fully refurbished and equipment has been either restored of replaced. A room devoted to the development of the Earth and living species was opened in 1998. Located in the Parc de la Villette complex, the Cité presents a comprehensive panorama of science and technology : communication, the environment, health, astronomy, computer science, etc. via exhibitions, shows, models, lectures and interactive games. Also, the Planetarium, the Mediterranean aquarium, Louis Lumière cinema (films in 3-D), and multimedia library. For children : 'La Cité des enfants' (the children's science village) from 3 to 12 years, 'Techno Cité', from 11 years. In the park : the Argonaut - a real submarine to visit- 'La Géode' and its 1000 sq m hemispherical screen and the Cinaxe simulation room. 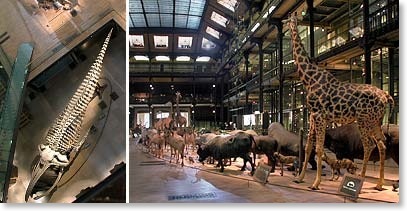 As much a theatre of life itself, the Grande Galerie de l'Évolution displays thousands of animal specimens. Larger than life, they tell the astonishing story of evolution: presented in three acts in a grandiose stage set. inaugurated at the same time as the Eiffel Tower, and with the same success. 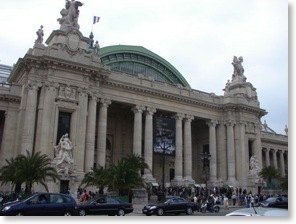 It underwent a metamorphosis in 1994 to become the Grande Galerie de l'Évolution, under the guidance of the architects Paul Chemetov and Borja Huidobro, associates of the director René Allio. Since the re-opening, the Museum's zoological collections are presented from a new and dynamic angle, the evolution of life. They form a spectacular ensemble (3,000 specimens exhibited in the nave alone, 7,000 total in the Galerie), installed in a space which is 55 m by 25 m (180 ft by 82 ft) and 30 m (98 ft) high. The 6,000 m2 (65,000 sq. ft) of permanent exhibition space is divided between the central nave, and the upper and intermediate balconies. Complementary exhibitions are presented in the hall of endangered and extinct species, as well as in the hall of discovery. 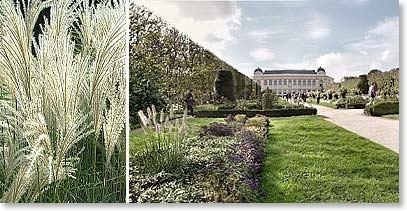 Heir to the Jardin royal des plantes médicinales whose creation was decided in 1626 under Louis XIII, the current Jardin des Plantes first opened to the public in 1640. Today it is a place rich in exceptional patrimony, unique in France. Since the creation of the Jardin royal des plantes médicinales in the 17th century, at the King's garden, the Jardin du Roi, in 1739, then at the Jardin des Plantes (a result of the French revolution), the only intramural botanical garden in Paris has been trodden through for almost 4 centuries by generations of the public and scientists... Exploring the place is like playing a game of hare and hounds. Flowerbeds and buildings conjure up the period during which they were conceived and tell the story of all the adventures of natural sciences. The oldest witnesses are the Hôtel de Magny (built in 1650 outside the garden boundary but integrated into the site in 1787) and the works of the architect Edme Verniquet, such as Buffon's gazebo (1788) and Verniquet's amphitheatre, finished during the revolution in 1794. The Ménagerie opened at the same time, the rotunda was built from 1804 and the bear dens date from 1805. The metallic architecture, an innovation both promoted and decried, was a century ahead of the realisations of Gustave Eiffel. It is also well represented here, notably by the Grande Galerie de l'Évolution, inaugurated in 1889 with the name of Galerie de Zoologie... The entire garden and the interior of the surrounding walls are today listed as historical monuments. 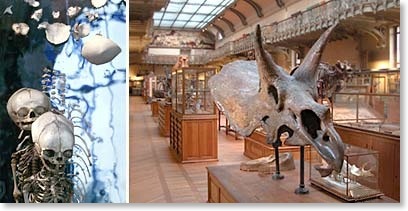 At the end of the 19th century, Albert Gaudry, holder of the chair of paleontology and a promoter of evolutionist ideas in France, undertook to present Paris with a new institution dedicated to comparative anatomy and paleontology. "If", he said, "man is unable to read the future, this indeed being one of the greatest challenges of his destiny, then he should attempt to read his past". Unequivocally linked with paleontology, comparative anatomy, claimed Georges Pouchet at the time, would find its place under the same roof. The place is superb: built by the architect Frédéric Dutert and opened in 1898 with the 1900 Universal Exhibition in mind, the great gallery is almost 80 m (260 ft) long and features stone and metalwork as well as many decorative sculptures of naturalist inspiration. Puppets show at the Luxembourg Garden. Indoor space. Here is a short selection of restaurants where kids are welcome and where they will have a great time. All of them are located a stone throw from the hotels Raphael & Majestic Hôtel Spa. Right next to the Pompidou Centre, in Le Marais, this sandwicherie stands out for tasty tartines. Perfect for a quick and casual lunch. By the Musée de l’Homme, a magical place with an excliusive setting in front of the Eiffel tower. Creative and colorful cuisine, amusing, with using the richness of the world seasons. 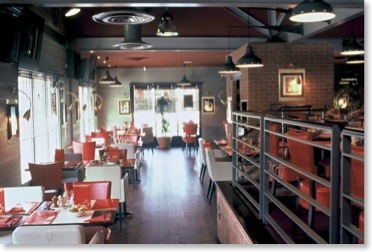 Casual attire and friendly service, serves steaks and others grilled items. 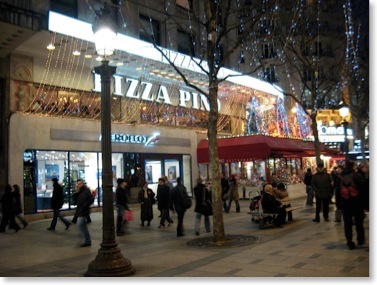 Well known pizzeria along the Champs Elysées. 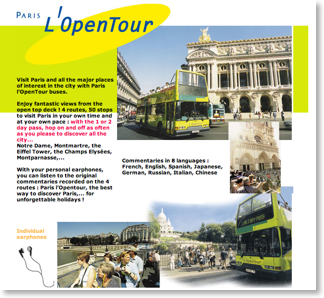 Several tours are available for the families to discover Paris and have a first idea of our city, its monuments and historical sites. Do not hesitate to contact us for further information or reservations. Paris L'Open Tour the "Hop-on Hop-off" tour of the city. Enjoy fantastic views from the open deck. 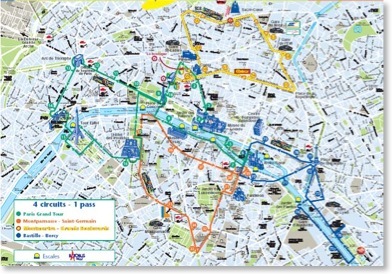 Four routes and 50 stops to explore Paris. Hop on Hop off as often as you please and see the city in your own time and at your own pace. One stop is available 50 metres from the hotel Raphael. Tickets on sell at the concierge desk. • Child (aged 4 to 11) : 16 € for 1, 2 or 3 consecutive days • Adult : 32 € for 1 day, 36 € for 2 consecutive days or 40 € for 3 consecutive days. 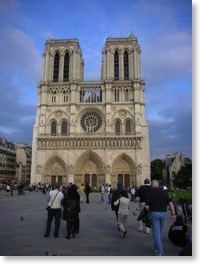 Half day tour of Paris with minivan and English speaking driver-guide. Small group tours (8 people maximum) shared with other passengers. Duration 3 1/2 hours. 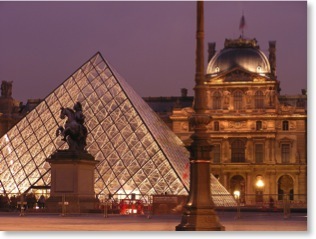 This excursion will give you an insight into the history of Paris, with its major monuments and historical sites: Madeleine, Opera, Vendôme Square, Concorde, Arch of Triumph and Champs-Elysees, Invalides, Louvre, Notre-Dame. 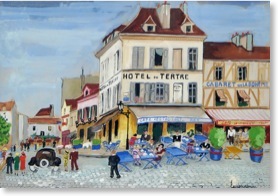 The excursion ends with a walking tour of Montmartre: the Sacre Coeur, Place du Tertre and Moulin de la Galette. Pick up from and return to hotel Raphael at 8:15 AM and 1:15 PM everyday. Child (3-11 years) : 57 € / Adult : 75 €. Advance reservation required. Four hour tour of the city with your own English speaking driver. The Mercedes Viano (6 passenger minivan) or the Volkswagen Caravelle (8 passenger minivan) are the ideal solution for a family. The drivers are professionals, selected for their enthusiasm, personality, spoken languages and driving skills. They are intensively trained in advanced touristic knowledge. The price for a 4 hour disposal with either a VW minivan caravelle at 340 € or Viano minivan Mercedes ar 420 €. Either with the Bateaux Parisiens, starting at the Eiffel Tower or with the Bateaux Mouche, starting at the Alma Bridge, to discover Paris and its history aboard entirely glass-top vessels. Both companies are located within 20 minutes' walk from the hotel. Guide commentaries are available in 12 languages. Every 1/2 hour from 10 AM to 11:00 PM from April to October. Every hour from 10 AM to 10 PM from November to March. Child : 5 € / Adults : 11 €. No advance reservation requested. Lunch along the waterside aboard a glass-top vessel. Enjoy à la carte French cuisine prepared on board in a friendly and relaxed atmosphere. Ideal for a family ! 2-hour cruise / Departure everyday at 12:45 PM . Child (under 12 years) : 32 € / Adult : 54 - 64 or 74 € (depending on the menu). Short visit of Paris with minivan followed by a Seine cruise. Small group tours (8 people maximum) shared with other passengers. Duration 3 1/2 hours. 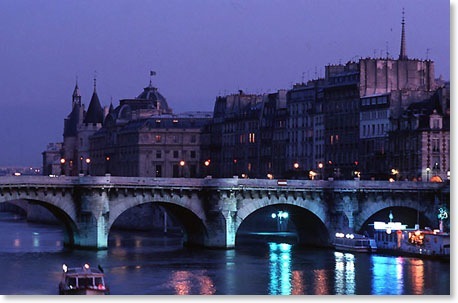 It will be followed by a one hour commented cruise the Seine. Departure from the Eiffel Tower, the crew will welcome you on board one of the three trimarans belonging to the “Bateaux Parisiens”, for the cruise. Entirely glass fitted, with a terrace behind and gangways all round, these boats are perfectly designed to discover and admire the rich architecture of the city. Pick up at the hotel raphael everyday at 8:30 AM and 1:30 PM. Excursion ends at the foot of the Eiffel Tower (no return to hotel / 15 minutes' walk). Child (3-11 years) : 25 € / Adult : 49 €. Advance reservation required. As we know, by experience, that the younger children get sometimes tired or find it difficult to maintain their attention all the time, we made a selection of some English speaking guides for their skill to work with families with young children. We also offer special rates for them, a 50 % discount for children from 4 to 11. 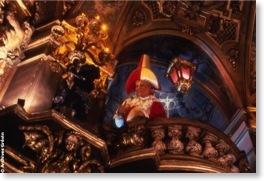 This includes train tickets to Versailles, entrance tickets to the Castle and a 2 hour private tour. Kindly be informed that most of the tours listed in our Minibus Tours section also offer a 50 % discount for children from 3 to 11. Montmartre is like a village above the city with kitsch and poetry in equal parts which always maintained its historic character. 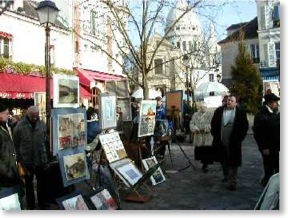 Near the Sacré Coeur, portrait artists crowd around the Place du Tertre. A funicular (an automatic two-cabin railway) allows passengers to ride directly from the base of the Montmartre butte to the top. The "Little Train of Montmartre" welcomes the families everyday from 10 am to for a 35 minute guided tour in French and Englsh. Departure from Place Blanche, near the Moulin Rouge. If you are thinking of a picnic we recommend the gardens of the Champ de Mars Park, near the Eiffel tower, not far from the hotel Raphael, where you can walk, run, bicycle, rollerskate or just sit and enjoy. There are 4 playgrounds, a puppet theatre (les Guignols), a hand-cranked carousel, pony rides and old pedal cars. Something to keep in mind is that the Champ de Mars is not Disneyland. It's a nice neighborhood park with simple amusements where families have going for years. It's special to watch grandparents taking the grandchildren there and spoil them with the little pony rides or peddle carts; it's a sweet memory if you have children. 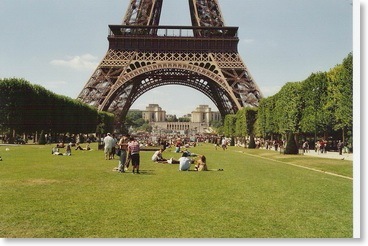 Several other places are available for picnics in Paris : Bois de Boulogne, Buttes Chaumont Park, etc. 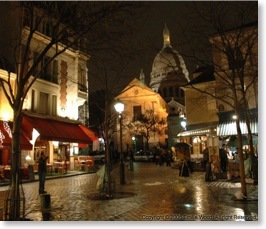 and we can recommend some excellent take- away shops in the neighborhood (Lenôtre, Joséphine bakery...). 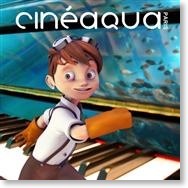 The coolest cinematic experience in the Paris Aquarium with animation films, video games, fun and educational activities. Daily 10 am-8 pm. 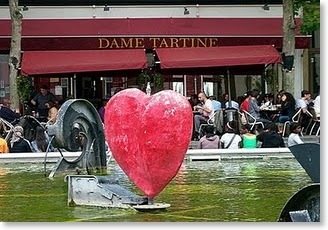 Located near the Trocadero square, 10 minutes' walk from the hotel. 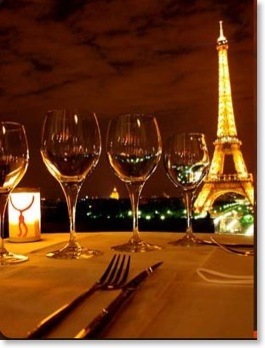 While you are in Paris with your family, we suggest a lunch or a dinner either at the Eiffel Tower or at the Montparnasse Tower. Your young gourmets will love these restaurants ! Located on the 1st floor of the Eiffel Tower, 95 meters above sea level, this is a great place for a casual lunch or dinner while enjoying the fabulously breathtaking view of the city. 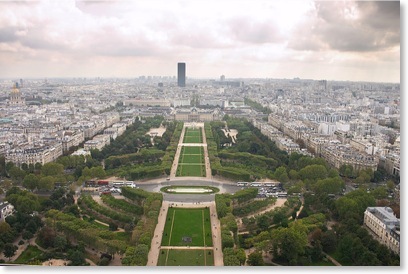 It takes only 38 seconds to rise to the Ciel de Paris on the 56th floor of the Tour Montparnasse. The uppermost restaurant in Europe, towering 200 meters above the city offers a stupendous view. Welcome to the Village JouéClub ! 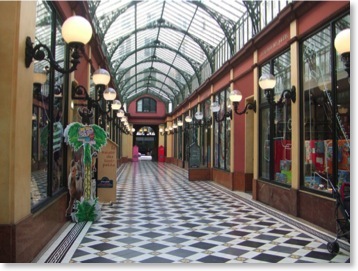 More than 2000 m2 of toys and games, located in the prestigious private Passage des princes, in the heart of Paris, near the Opera House. A paradise for the children ! Outfits the most privileged children, tots to early teens. The newest shop is a children's concept store in a 17th century mansion - worth seeing for the decor alone - and the terrace café. You will spend a morning behind the visible part of a baker, in his workshop. The baker along with the pastry Chef will share with you their passion. In this French Pastry cooking class, you will cook typical French pastries and desserts in Montmartre and devour your creations at the end. After the class you can eat it all or you can choose to take it home with you (except for the creme brulee) to share with the people you love. Available on Mondays, Thursdays & Saturdays, 2 pm to 5 pm. The price is 125 € per adult or 95 € per child (4-11).